What a great way to celebrate National Distance Learning Week! Jeff Cobb and Celisa Steele over at Tagoras have updated their Learning 2.0 for Associations report — an amazing resource that every association must have! 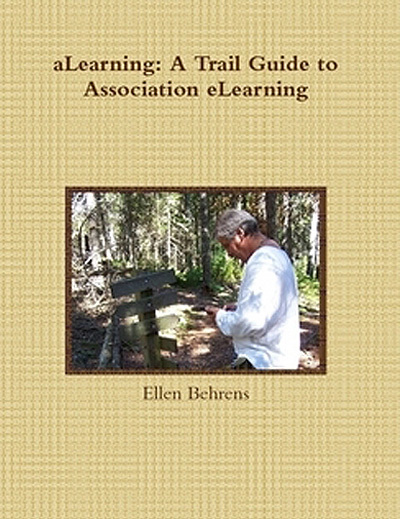 It clearly describes the key Learning 2.0 elements and includes examples (with URL addresses so you can see more) of how various organizations are leveraging social learning. Did I mention the report is FREE!?!?? Now excuse me while I go follow up on some of these great ideas…. Maybe this provides an alternative for your members who don’t want to follow the confusing, fast flow of Tweets. Also a nifty way to create a daily enewsletter: choose links to Tweet based on the enewsletter you want to create on the other end. Slick, eh?!? Trade associations offer a lot of educational programs, don’t we?!? We provide up-to-date training so our members can meet the latest regulatory requirements, perform their job functions better than ever, get inspired by best practices and sterling examples… and so much more. Knowledge transfer at its most basic. But wait. Isn’t that what the listservs and forums and discussion groups and all those options are for? So our members can share their knowledge and experience? Yes, but it’s not enough. “Sharing” isn’t enough, at least not through these mediums, nor through Twitter, Facebook, LinkedIn. 1. Peer-to-peer sharing carries in the inherent risk that incorrect information will be shared. Of course that can happen in the classroom, in a mentoring conversation, and many other ways. But why run the risk if it can be avoided? 2. Online discussions and advice that streams via Twitter or other modes is too often of the moment and hard to locate again once the exchange has ended. Too many discussion lists and listservs are hard organizationally hard to navigate when someone wants to find a past thread, so it’s easier just to post the question again… and again… and again…. Yes, it’s great to see members share so freely and our Twitter feeds scrolling like crazy when a popular topic lights everyone up. But like I said, it’s not enough. Make sure you have ways to capture those streams, contain the links, ideas, suggestions, and concerns. Especially those on topics or questions that come up more than once. Vet them for accuracy (nobody likes a bad link). Summarize them. Create link lists from them. Tag them. Put those summaries and link lists where your members can easily search them by keyword/tags. If they need something more up-to-date, they’ll ask. But in the meantime, you’ll have captured the knowledge they are sharing, and offering it back in a way that saves them time, and keeps your experts from being over-extended because they’re answering the same questions over and over again. Offer this captured knowledge in easy-to-find, easy-to-access ways behind your members-only wall, and you’ll be providing a service that they can’t get elsewhere. It’s more than a free Facebook conversation. It’s more than hunting for just the right YouTube video. It’s all right there, and the only way to get to it fast and easy is through your association. Convenience is everything these days. Make it convenient for your members to access the knowledge they embody as a group, and you’ll have cornered the market in something no freely available social networking or social media site can do as well as you can.